If you want to talk about superfoods, you need to know about ginger. Yes, that sometimes weird looking, smelly stump thing you see piled up in baskets at the market is actually an amazing addition to your healthy living plan. This exotic food is spicy, but not hot, and fragrant without tasting like floral perfume. So if you only know ginger as wasabi’s best friend, accompanying your sushi boat, you don’t know what you’re missing. Today I want to share some amazing health benefits of ginger with you, and I hope they may inspire you to give this weird little rhizome a chance. But first, what the heck is that dirty root thing anyway? Ginger originated in southern parts of China before it was traded throughout Asia, India, Africa, the Middle East, and the Caribbean. This is why you’ll typically find recipes using ginger in these spice loving cuisines. The ginger we all eat doesn’t come from the root of the plant, but actually the rhizome, which is part of the stem that grows horizontally underground. Ginger is sometimes called ‘ginger root’ only because it grows underground, but roots actually grow vertically. This is why ginger sometimes looks like it was just uprooted from the dirt. Ginger roots have thin or thick skins, depending on their level of maturity when they were harvested. You should check these out when you buy your ginger to make sure they look healthy and mold-free, and peel the skin off before you use it. Young ginger roots are very juicy, yet mild. You can enjoy young ginger pickled (like when you eat sushi) or steep it in tea to make ginger tea. However, mature ginger roots are fibrous and dry; they make excellent candidates for fresh grated ginger, used as a spice to zest your best dishes and stir-frys. When the grated ginger is powder dry, you can use it in recipes like gingerbread cookies. So now that you know what ginger is, how about we get right into what makes it a superfood? The most widely known fact about ginger is that it’s a great natural remedy to combat nausea. Ginger has long been touted for its effect on unhappy tummies. 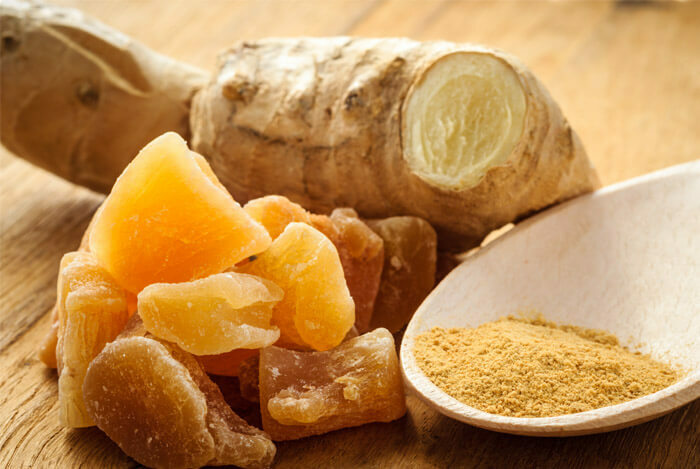 From motion sickness to morning sickness, you’ll likely find a ginger remedy online to help. When pregnant women have to deal with morning sickness, which can happen at any point in the day and not just in the AM, they have to fight off nausea and vomiting. Yuck! 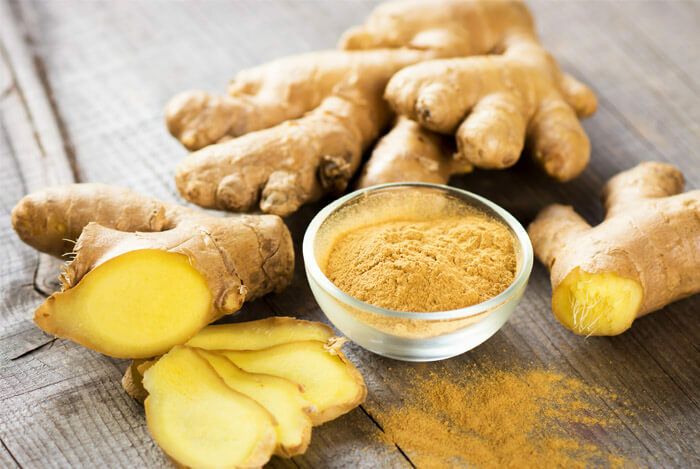 One study on this sweet smelling rhizome proved that taking ginger reduced the symptoms of nausea, but didn’t reduce the number of daily puke sessions. As tempting as that must sound to all you pregnant ladies, definitely speak with your doctor about adding ginger to your diet before you attempt this one. If you can’t fly by plane or step foot on a boat without your motion sickness pills, ginger may be just what you’re looking for. A study on seasickness tested 80 naval cadets who weren’t used to sailing in heavy seas. They gave the participants an anti-nausea medicine, a placebo, or ginger root, and checked on their levels of seasickness every four hours. Researchers not only discovered that “fewer symptoms of nausea and vertigo were reported after ginger root ingestion”, but “ginger root reduced the tendency to vomiting and cold sweating significantly better than [the] placebo did”. Further to this, an overall review of six separate studies aimed at discovering if ginger was as powerful as over-the-counter anti-nausea medicine, discovered that taking ginger was “superior to [taking a] placebo and equally effective” as the OTC remedy. That’s pretty awesome. You know I love it when natural foods work just as well as factory created pills that have unpleasant side effects. Ginger’s in the same family as turmeric, a spice thought to have anti-inflammatory benefits, so it’s no wonder that ginger shares the same ability. When you start losing cartilage between your joints due to arthritis or osteoarthritis, the bone-on-bone rubbing that occurs during walking just a few steps can seem unbearable. Many people suffering with arthritis feel trapped when they can’t move due to the unbearable pain and stiffness in their joints. Before going through surgery, many people turn to pain relieving drugs just to cope with daily life. A trial of patients with osteoarthritis of the knee received ginger extracts twice a day for six weeks in place of their pain medication. They were allowed to use acetaminophen as a “rescue medication” if they were in dire pain. The great news is that researchers noticed that when patients took the ginger extract, they experienced a reduction in knee pain when standing and walking. Patients relied less on the acetaminophen when consuming the ginger, which is awesome considering the side effects of excessive acetaminophen use. There’s some evidence that ginger root may help reduce symptoms of migraine. In a double-blind study, 100 patients with acute migraines were randomly selected to receive either ginger powder or a drug that treats migraines. Two hours after using either drug, the average headache severity decreased significantly with both treatment options. However, the effect that the ginger powder had was similar to the effect the migraine drug had, meaning it worked just as well. The advantage is that patients experienced less side effects when they took the ginger powder instead of the migraine drug. Although, that’s just one study, and there’s far more research in support of traditional migraine medication. Some people like to feel their muscles burn the day after an intense workout. I am not one of those people. One study involving 74 volunteers at the University of Georgia found that “daily ginger supplementation reduced exercise-induced muscle pain by 25%”. Notice the words daily supplement in that statement. Ginger’s not an immediate pain remedy and takes awhile to get going, but when it does, it may help. One study that demonstrated this caveat discovered that when participants were asked to consume ginger 24 hours after they exercised, they reduced their muscle pain the following day, or 48 hours after their workout session. Participants taking the placebo in the same time frame noticed no change in muscle soreness. Ouch. Ginger is full of antioxidants that fight free radicals in our bodies, which is why many people believe that ginger may prevent cancer. 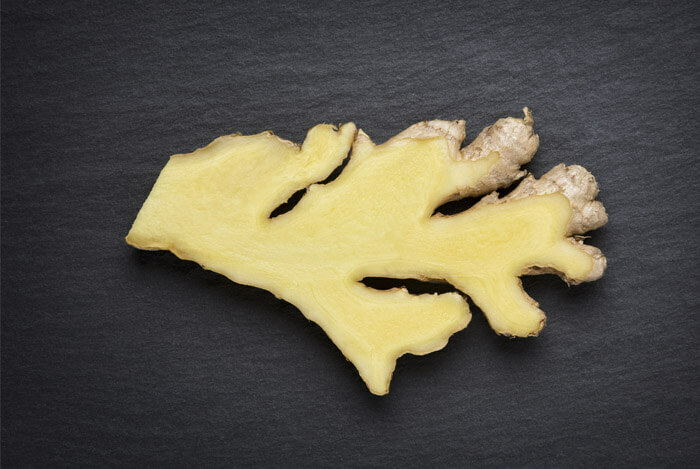 Did you know that 3% of ginger’s weight comes from its fragrant oils? These oils do more than add a pungent aroma to the air; they are home to ginger’s cancer fighting properties. 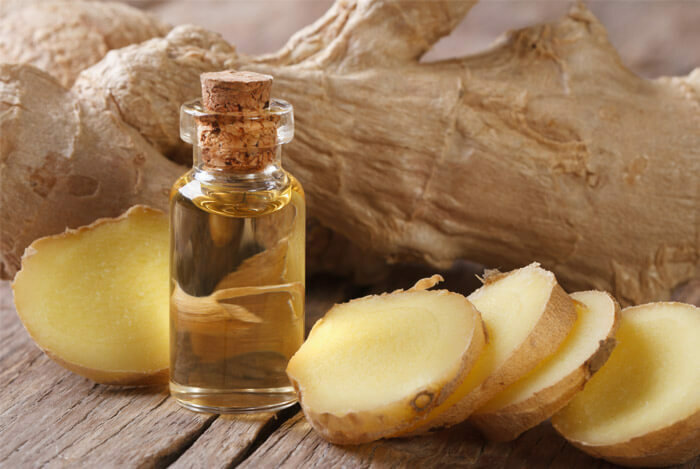 One of ginger’s oils, gingerol, has been studied for its active role in cancer treatment and prevention. According to one study, a version of gingerol was discovered to “possess anticancer activities”. These activities included aiding in biological pathways towards cell death, cell cycle regulation, [and] cytotoxic activity”. The American Cancer Society likes the sound of results like that, but it agrees with me that we cannot promote ginger as a cancer treatment at this stage because further clinical trials need to be conducted and researched. Diabetes has become extremely prevalent in most developed countries. So naturally, I was excited to learn about a study that linked ginger consumption to lower blood sugar and HbA1c test levels, which measure an average of how much sugar is in your blood over a 3 month period. By adding just two grams of ginger powder to a diabetics’ diet every day, fasting blood sugar lowered by 12%, and HbA1c levels reduced by 10%. When diabetic and hypothyroid induced rats were given fresh ginger root over the course of 30 days, scientists found that their total cholesterol and low density lipoprotein (LDL), or bad cholesterol, levels both decreased. But this wasn’t the only good news. Triglycerides were also reduced and HDL, or good cholesterol, was increased as a result of the fresh ginger. The same effect that ginger had on rats has also been tested in humans. A double blind study examined the effects that powdered ginger had on lipid levels in 45 volunteers. Researchers discovered that ginger significantly reduced triglyceride, cholesterol, and LDL levels. Plus, increases in HDL were higher in the ginger group than the placebo group. Lowering bad cholesterol and raising good cholesterol numbers means a decrease in heart related issues like heart disease, heart attack, and stroke. You can incorporate fresh ginger in your diet by adding it to your favorite fruit or veggie smoothies, or mince some into your stir fry. To make ginger tea, simmer a few strips of fresh ginger in 2 cups of hot water for 10 minutes. I like mine flavored with fresh lemon juice too. What’s your take on ginger? Have anything else you’d like to share? Let me know in the comments below!